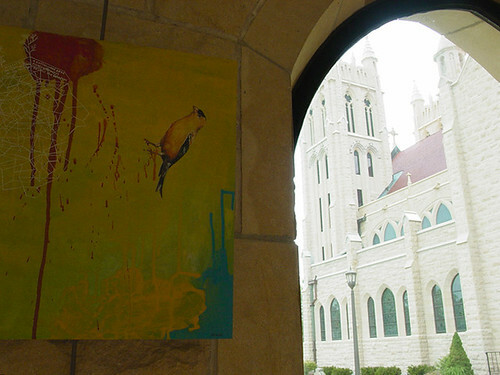 I was invited to hang some of my work at Topeka's Grace Episcopal Cathedral in the Cloister Gallery. It is a lovely building. In June, I'm making one of these each day. Tonight and tomorrow I'll be putting together some work to take to Kansas City for this coming First Friday. I'll share more on Thursday. Lil bits of happiness for this evening. I have some blog reading to catch up on for sure and still more garden weeding!